Written for librarians, teachers, and researchers who deal with children's literature, this volume offers comprehensive coverage of nearly 400 British books for young people published from 1678 to the present. Books chosen for inclusion were drawn from those that have won recognized awards for literary merit or have been on lists citing works that should be part of any representative children's book collection. For each, the authors provide concise entries for authors, titles, characters, memorable settings, significant movements, and literary terminology. 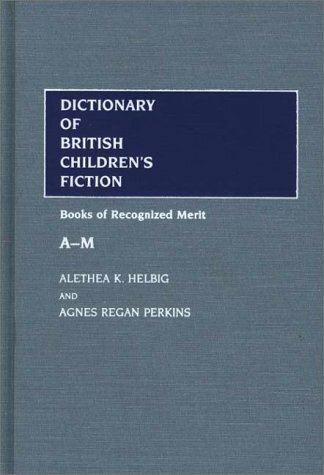 The result is an unusually complete overview of a broad spectrum of fiction recognized for merit by a wide variety of experts in children's literature. The dictionary section includes four types of entries: title, author, character, and miscellaneous or additional data. Every book has title and author entries; additional information is presented in character and miscellaneous entries where necessary. Author entries provide basic biographical data, focusing particularly on what in the author's life is most relevant to children's literature. Title entries include bibliographic information, a brief plot summary, sub-genre, setting, a critical evaluation, and any awards and citations. An extensive index enables the reader to locate books by period, topic, theme, and characters' names, as well as by author and title. 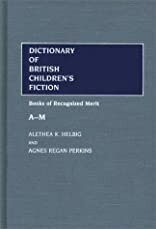 The only one-volume compilation of the best in British children's fiction available to date, this book belongs on the shelves of every academic and public library. As a basic research tool, it will also be of significant value to teachers of children's literature, writers, and social historians.